A good pair of bracers will take you far, and it matters not if they are simply adorned or richly complex. Consider, for example, these Neutral Bracers, which are simple in design and yet incredibly effective, not to mention exceptionally versatile. 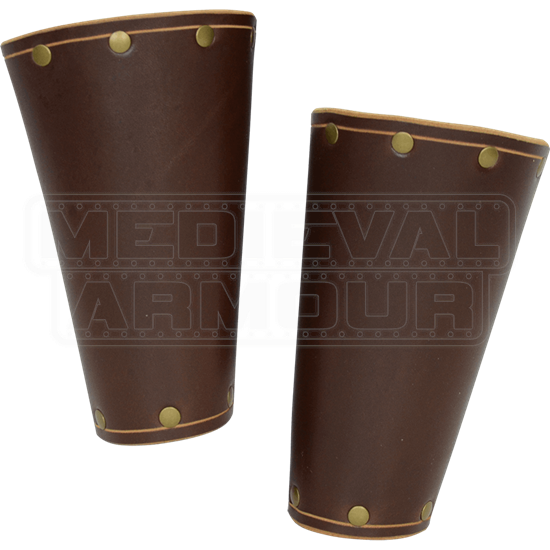 These bracers are made entirely from high quality leather, which ensures their strength as armor that is designed specifically for the mock-combat of live action role playing events. Simplicity and versatility are one in the same when it comes to these bracers, as their simple appearance, being decorated with only smooth rivets along the edges, allows them to blend seamlessly with virtually any costume or look. Kings can wear them as easily as warriors can, just as archers, rogues, and thieves of all sorts will find them to be useful, too. The bracers are available in both brown and black. The bracers are available in only one size, although given that they are worn with laces and ties, they are also quite adjustable and can fit a wide range of different wrist and arm sizes. 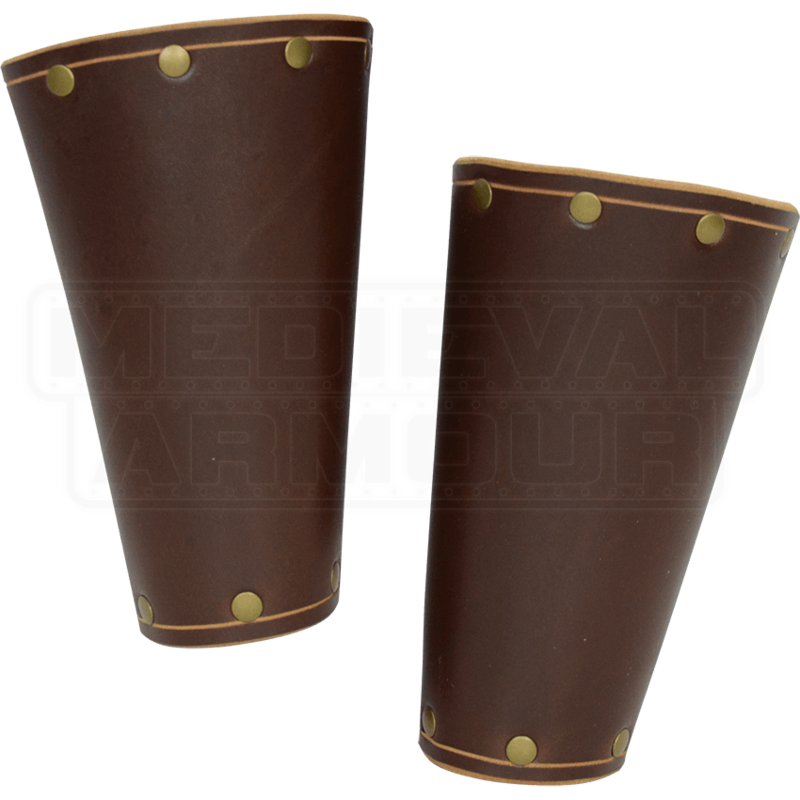 These Neutral Bracers will nicely accent dozens, if not hundreds of good costumes, ensuring that no matter how your LARP or Renaissance costume changes, you will always have a good pair of bracers to wear right when you need them.